Welcome to the party! I am so happy you stopped by to share your projects with us this week. I can't wait to see what you've been up to. I love seeing all those checking out all of the great posts. I've said it so many times, but I will say it again....my blogger friends are amazing! You blow me away each week. Have a fabulous, crafty and creative weekend!! 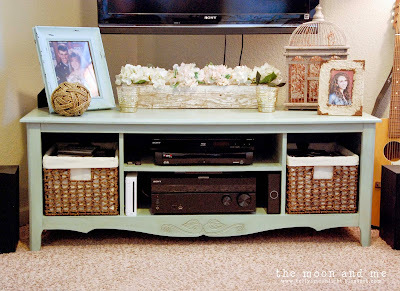 I love this entertainment center to TV center console makeover by The Moon and Me. You have to check out the before and after photos. 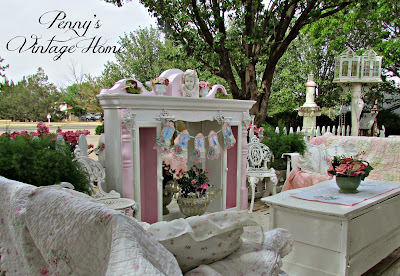 Penny's Vintage Home creativity never stops! Check out this awesome front porch faux fireplace. Our Crafty Mom shared some fabulous backyard decorating ideas. How cute are these flower pots attached to the gutter? I love this pine table makeover by The Interior Frugalista. It turned out fabulous. DIY Fun Ideas shared this awesome upcycled jewelry hanger. Cath's Cookery Creations! created these adorable Milk and Cookies Cupcakes. 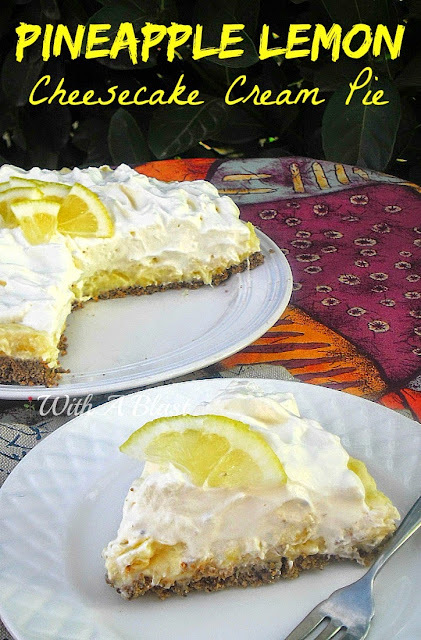 With A Blast shared this yummy Pineapple Lemon Cheesecake Pie! YUMMY! 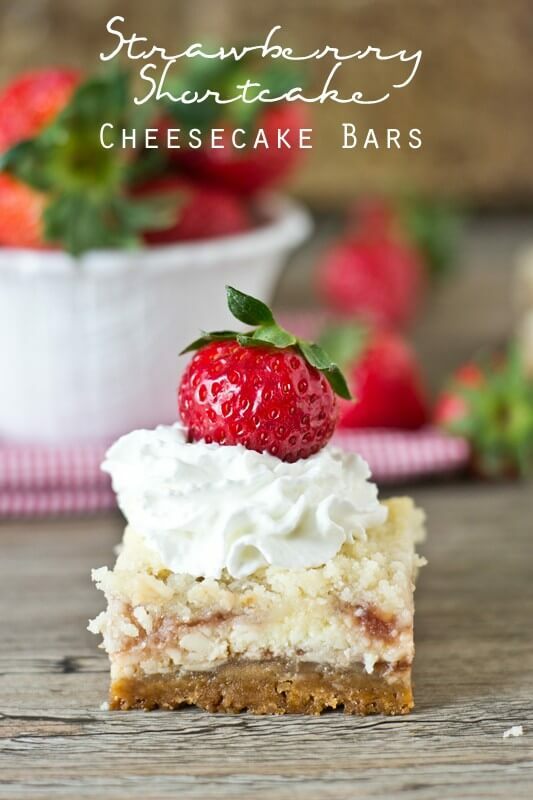 Tastes of Lizzy T shared this delicious Strawberry Shortcake Cheesecake Bars. Oh my!! Check out these fun bucket list ideas for couples by Lou Lou Girls. Lots of great ideas! I just wanted to say thank you for featuring my upcycled jewelry hanger. It's an honor to be featured amongst so many wonderful projects. Thank you and thank you for hosting! Hello Kathy. Hope you're enjoying your weekend and thank you for the party! Thanks so much for the feature, Kathy! I love those milk and cookie treats! So adorable! Thank you so much for hosting! Hope your weekend is awesome! Thanks so much for the party Kathy and this is so ironic, I picked up a lemon cheesecake this afternoon - doesn't that one look incredible? Thank you for a lovely party dear! I hope your Saturday has been a good one! Thank you Kathy for Bouquet of Talent, appreciate joining in. Have a great week. Hi, Kathy! I'm s excited to be back linking up at your Beautiful Blog! Thanks s much for hosting such a lovely party. You have such Lovely and yummy Features! Thank you so much for the party Kathy! Thanks Kathy for hosting your fun party. Have a great week. Thank you so much Kathy for featuring my Pine Side Table Makeover - much appreciated! Hey Kathy! Thanks so much for featuring my entertainment center makeover! :) I hope you have a fabulous week. Hi Kathy, forgive me for being so rude. I just noticed you featured my Arabesque Pine Table Makeover last week. Thank you so much!! !